Clipper Logistics is pleased to announce three young, talented professionals have been shortlisted for the 2019 Talent in Logistics Awards, alongside other industry professionals. 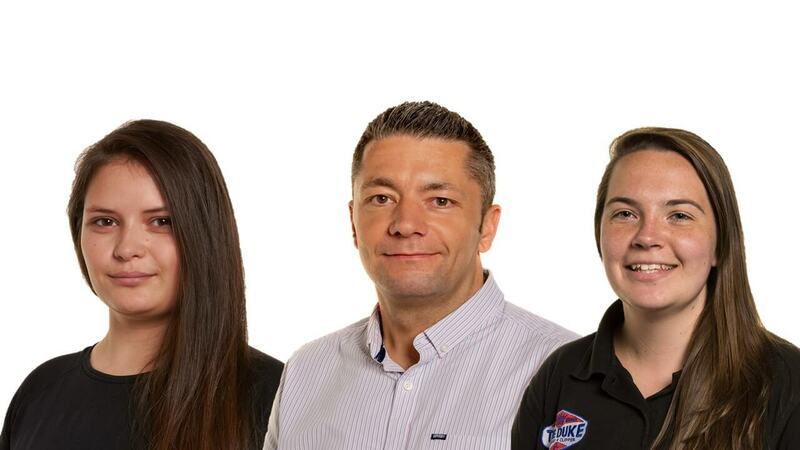 Based at Clipper’s Burton-on-Trent DC, Beth West and Svetlana Laksa have been shortlisted for Rising Star of the Year, whilst Michael Price has been shortlisted for Inspirational Leader of the Year. Beth West, shortlisted for Rising Star of the Year, is being recognised for her outstanding contribution to the development of an end-to-end training module, her team’s systematic capabilities, in addition to supporting and inspiring confidence in their abilities. Through Beth’s work, several colleagues have been promoted internally and externally within Clipper, and she has been hand-selected to form part of a new tactical implementation team. Svetlana Laksa, also shortlisted for Rising Star of the Year, has supported a culture of continuous improvement at Clipper, and regularly shares her knowledge. She has organised dedicated teams for returns processing, enabling the company to deliver over and above for clients, whilst increasing repack productivity by over 200% at the Burton Facility. Michael Price, shortlisted for Inspirational Leader of the Year, is being recognised for his outstanding work in developing a Continuous Improvement Framework, aligned to The Clipper Way, that is being embedded across all Clipper Sites involving multiple employees. He has created a safe place for people of every level to come together and share ideas. He has developed engagement zones – areas within Clipper’s operation, where he holds team meetings allowing everyone from graduates and apprentices to senior management to share their concerns. The Continuous Improvement Framework, has since become the foundation of what Clipper sees as a vital tool for business excellence. The Talent in Logistics awards are dedicated to recognising and rewarding the people that keep the logistics industry and the country, moving every day throughout the whole supply chain. Winners will be revealed at a black-tie event in Milton Keynes on Thursday 27th June 2019.